“Alesis Andromeda fully working and very very nice studio condition. 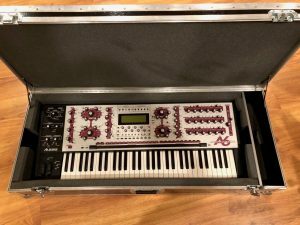 This is the rare red version of this synth and it is believed to be only 100 made of these units. Super collectible and super desirable!